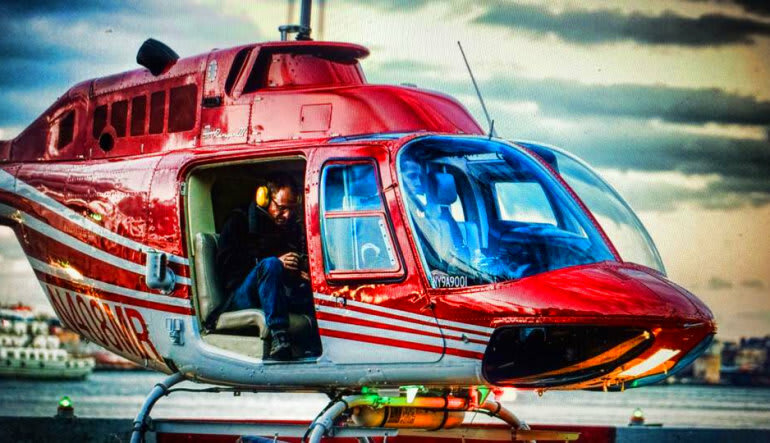 This New York City helicopter tour is a photographer’s dream! The flight is specifically designed for those of us who love watching the world through a lens. 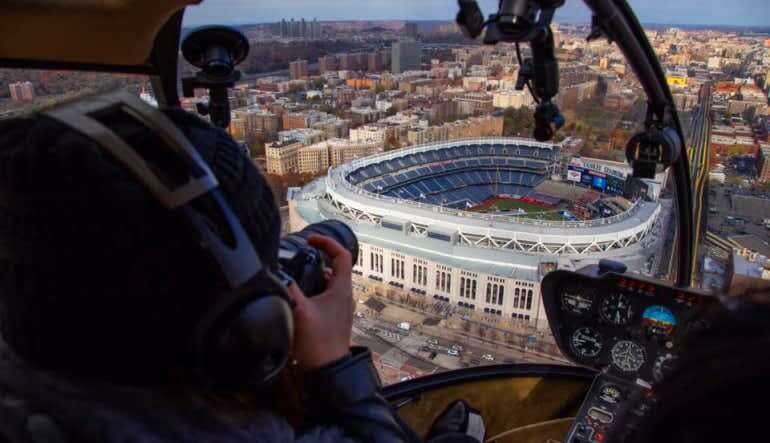 This New York City helicopter tour is a photographer’s dream! The flight is specifically designed for those of us who love watching the world through a lens. With its wide-windowed Robinson chopper and shutter-savvy pilot, it gives you THE very best photo opportunities imaginable. 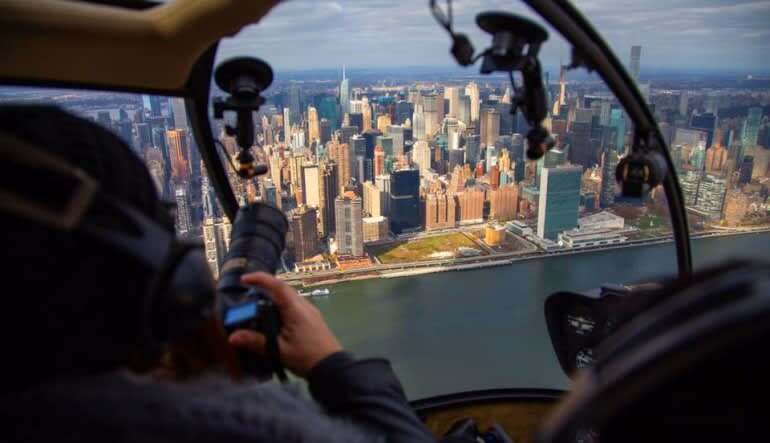 Take a 35-minute New York City sightseeing tour in a Robinson helicopter. Enjoy views that cater to your camera. Swoop over the Saint George Ferry Terminal. Make your way to Lady Liberty herself. Fly over Ellis Island and Governor’s Island. 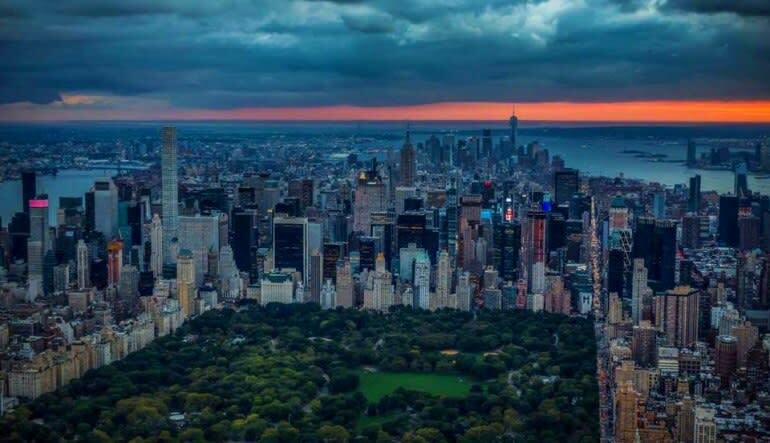 Get a bird’s eye view of Battery Park. See Freedom Tower and the 911 memorial’s twin Reflecting Pools. No Big Apple tour would be complete without Madison Square Garden, the Empire State Building and Central Park! Soar above the Museum of Natural History and the Intrepid Museum. Take a sky-high trip through Harlem! Get unique views of the George Washington Bridge and Washington Heights. Capture all the famous landmarks from vantage points seldom offered on these sorts of aerial tours. 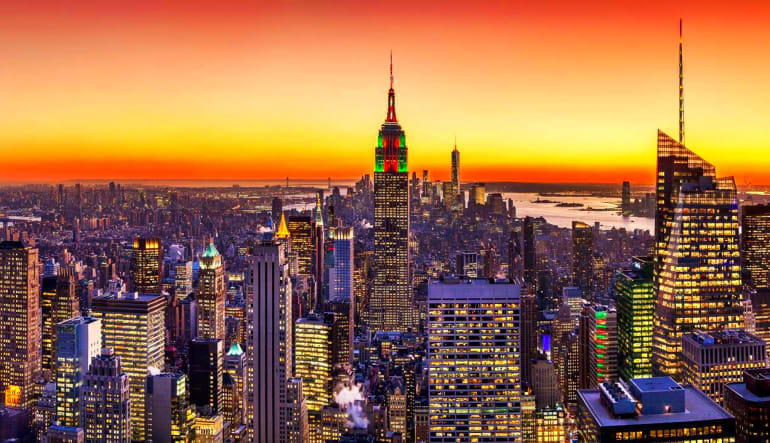 You’ll get real close to all those details that make the Big Apple shine!